Whether you’re buying or selling property, it’s in your best interest to enlist the legal service of a real estate law firm. In Hollywood, Florida, The Law Office of Steven M. Willner, PA provides comprehensive legal services for your real estate needs and reviews any documentation that pertains to the sale or purchase of your property. While you may not realize it, the process of buying or selling involves specific real estate laws. 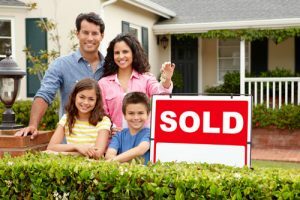 For many people, transactions involving the buying or selling of real estate are among the most significant financial investments that they will handle in their lives. For that reason, it’s worth your while to reach out to Mr. Willner to ensure that you stay comfortably within the limits of the law for your real estate transaction. 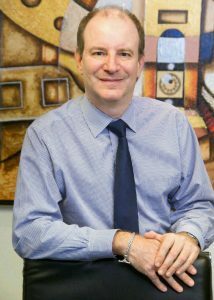 He has more than 23 years in the legal field on his side and has also been a member of the Florida Bar since 1994, so you can trust in his extensive knowledge to make your real estate transaction a positive experience for everyone involved. As a seller, listing your property for sale often involves a brokerage contract through your real estate agent. This commonly features standardized forms that fail to address a variety of different legal issues that have the potential to arise later in the process of your transaction. With a review of the proposed contract, your real estate lawyer can easily identify any modifications that need to be made. Mr. Willner may then recommend a negotiation to make changes that offer better protection for your financial interests. If you were to make a mistake when buying a new home, then you could lose thousands of dollars on your investment. With the help of a realty lawyer, you’ll benefit from extensive research of the title to ensure that no defects exist in the document. Mr. Willner may also help you by negotiating the terms of your purchase agreement to keep you from losing money. Many disputes involving housing conditions require the legal assistance of a real estate attorney, especially in cases when state or federal violations are concerned. In these cases, Mr. Willner may need to provide legal representation in court to prove that you didn’t violate any laws or statutes. He may also provide representation for cases involving liability, statutory violations, property disputes, contract breaches, and more. Contact Mr. Willner today to schedule a visit to his real estate law firm. He serves clients in Hollywood, Fort Lauderdale, Palm Beach, Miami, and Boca Raton, Florida. Hours: Monday – Saturday: 8:00 a.m. – 6:30 p.m.